The day of Candlemas is a very special day in Irpinia. Early in the morning many pilgrims arrive to Montevergine, one of the most important Marian Shrine situated in the Mountain around Avellino, to worship one of the so called “Seven Holy Ladies “ sisters of Holy Mary. The Holy Ladies are all in Campania, and the most important is the black Lady of Montevergine. 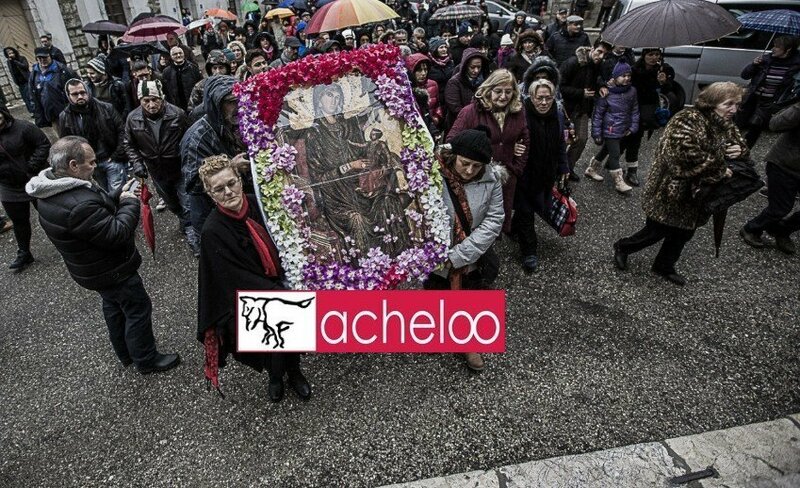 The Black Lady of Montevergine is the protector of homosexuals. 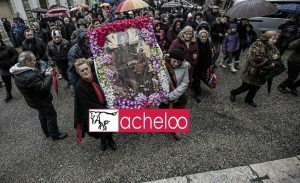 For this reason many of them arrive from Naples and many other areas of the Campania to pay tribute to “their” Madonna, addressing to her prayers and songs of love twice in the year during the day of Candlemas, February, 2 and Semptember,12 . Apart from the legend it is interesting to know that not far from the Sanctuary, on Mount Partenio, there are the ruins of two ancient temples consecrated respectively to Cybele and Artemis, two of the Great Mothers of Paganism. And in the myth of Cybele we can identify a strong link between pagan worship and Christian rituality. That of Candlemas is a day of offering, of sacrifice, of sweat. The sweat that flows from the forehead when, despite the cold, pilgrims slowly climb from the slopes to the Mount, on a slow and silent pilgrimage of great emotional participation. The silence is broken near the great staircase that leads to the sanctuary, where the pilgrims begin to sing their songs of love for the Holy Lady marking their progress towards the Chapel of the great icon. A celebration of great theatrical features, where you see pilgrim cry, laugh, dance, sing, with great respect towards the “sweet Mother” that everyone welcomes. On the churchyard the party continues in a swirl of popular dances and songs, “beyond all differences”. Not just devotion, but a great culinary tradition too.